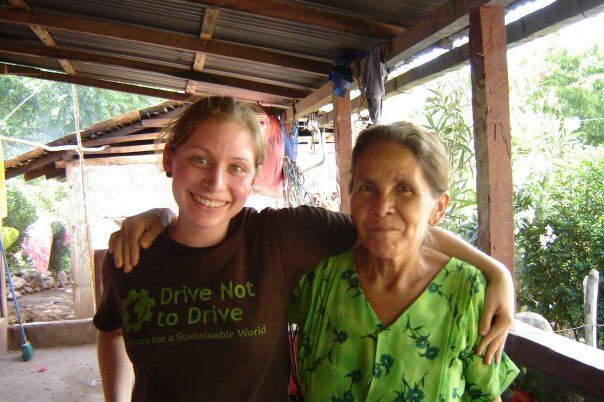 In summer 2009, I spent two months volunteering in Nicaragua with the nongovernmental organization AsoFenix. I helped build several concrete biodigesters by hand and advised families on the optimal way to use them. When the tanks are filled with cow manure and water, anaerobic microorganisms convert the contents into biogas for cooking. In the past, however, families neglected to add the manure-water mixture on a daily basis because they had not received thorough training on preparing it. This resulted in tanks failing to fill with cooking fuel. To resolve this oversight, I worked with the families each day to prepare the correct mixture. The experience underlined the importance of ensuring that end-users understand how to use a technology. Additionally, I surveyed community members on their interest and home's suitability for improved cook stoves. In the past, nonprofit organizations had improved the open-flame cookstoves used in the community by decreasing the hole size in people's open-flame stoves, which decreases the amount of smoke in the kitchen but causes great difficulties when adding firewood. Because of these difficulties, families often destroyed the stove modifications. A compromise proposed by AsoFenix for decreasing kitchen smoke while not hindering the stove's functionality was to install a chimney above the stove. To implement this idea properly, I met with people in their homes not only to determine if their kitchen permitted the installation of a chimney, but also to ask if the smoke irritated them, and if they would be interested in having a chimney. We wanted to ensure that the technology would provide more benefit than hassle to the household. Out of the 25 homes surveyed, we identified two homes that were good candidates for receiving chimneys.